I recommend a high quality plain pellet feed with nothing else in it. 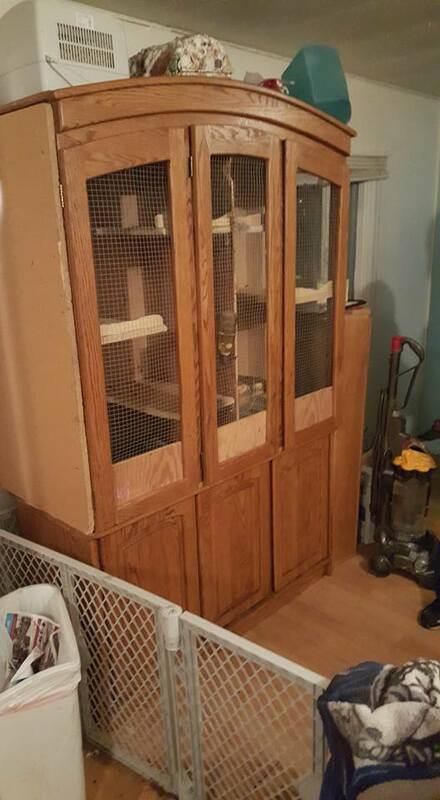 -Any plain rabbit feed like Purina, Manna Pro, Nutrena, Blue Seal, Producer's Pride, etc. 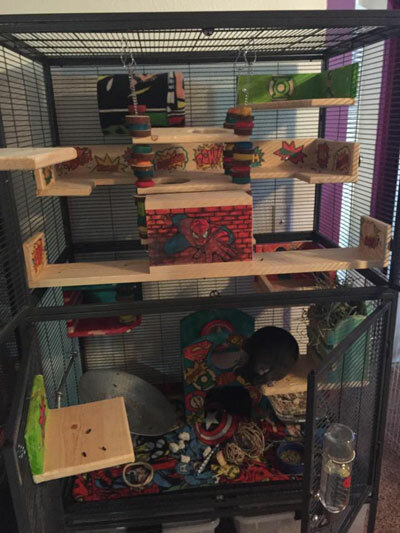 So long as the food is fresh, smells good and has pellets only your chin will do very well on it. Other things you can feed are hay varieties - timothy, bermuda, orchard, oat, alfalfa mix. These can be fed cubed or loose. Straight alfalfa can cause issues in some animals with a genetic predisposition to kidney or bladder stones, I recommend feeding it sparingly or not at all to pets. Keeping it simple with no sugars or pet store junk will help your chin live a long healthy lifespan. 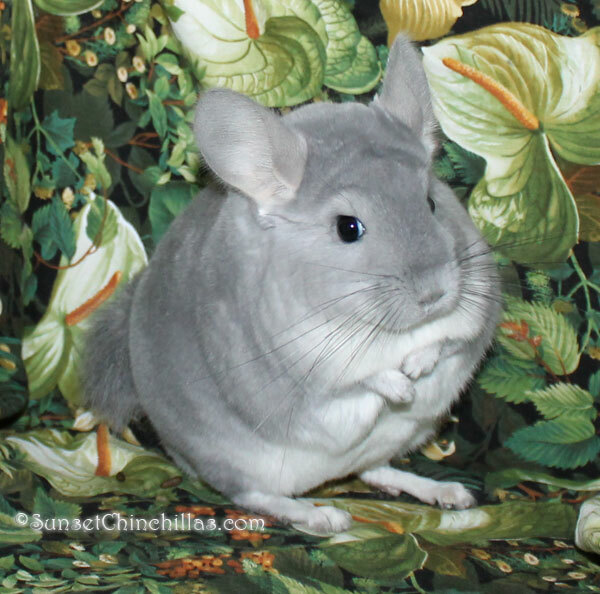 I use dried herbs only, if you would like an example of the things that are safe to feed your chinchilla rondaschins.com is a good place to start. Many of the products can be found in local health food stores, but if you want to try a little of everything she has samplers. Some of the favorites here are rose hips and rose buds. The apple blossoms are also popular. -Blue Cloud - The original dust used by breeders for showing. Has been replaced by Chill Dust due to the mine closing. Rondaschins.com still has some for sale, it is a very good dust. -Blue Sparkle - Used by some breeders but I really dislike it. As the name implies it is glittery and gets everywhere and attaches to your skin. 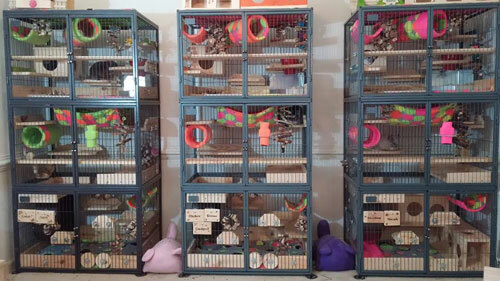 It is very difficult to clean and I don't like the way it feels on the chinchillas. It is usually what you find available in the pet store under the Sunseed and Blue Beauty brands. -Chill Dust - A newer dust made out of pumice. Available from the Chill Dust website, good to use if you have allergies to Blue Cloud or can't find anything else to purchase. I have tried it and like it and may switch to using it if I get the opportunity to purchase in bulk. -Sweet PDZ - A zeolite used for controlling odor in horse stalls. It is mined not too far from the Blue Cloud mine, I use it because I have an allergic reaction to Blue Cloud and Chill dust is too expensive to have shipped. It can be easily found in 25 and 40 pound bags at your local feed store. It comes in granular and powdered, I recommend the granular if you have allergies. -Baking Soda - It doesn't do a very good job but if you've had your chin buddy for years and your new SO/Baby/live-in is deathly allergic to the dust you can use baking soda or the non-toxic field lime. Neither work as well as the others but they get the job done. Let's start with the No's. NO plastic. NO Carefresh, Yesterday's news or paper based bedding. The main cause of death reported back to me in the chins I sell is impaction from plastic or paper based bedding. 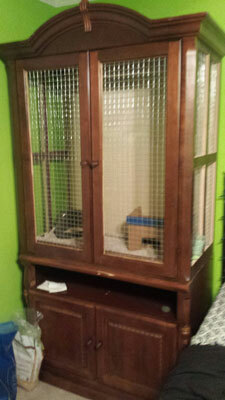 Cages should be metal, wood, glass or plexiglass. And have solid shelves, preferably made out of wood or metal. 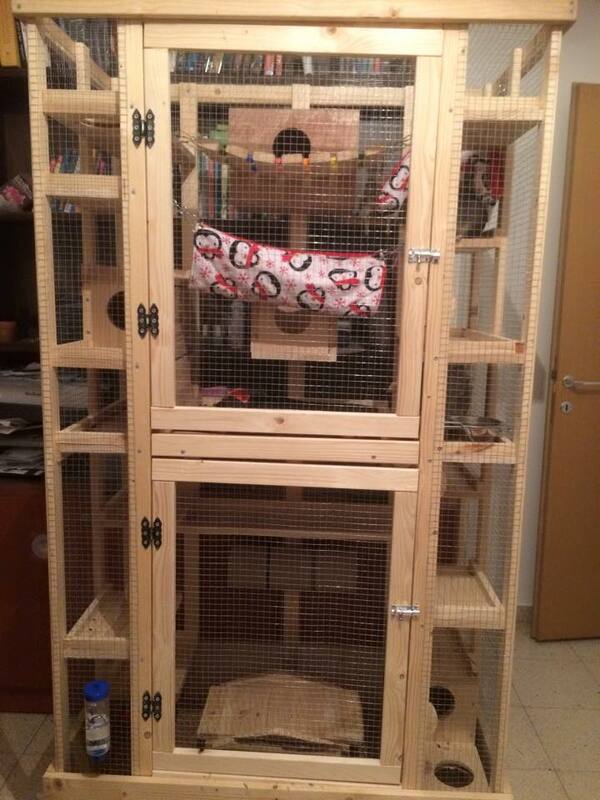 They don't have to be as fancy as the ones below, just have some wooden ledges to jump on and a wood house to hide in. 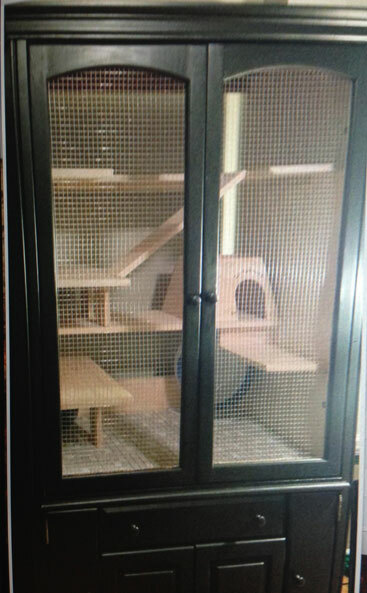 Ferret Nation (vertical gray bars), they can come in single, double or triple stacked like shown. 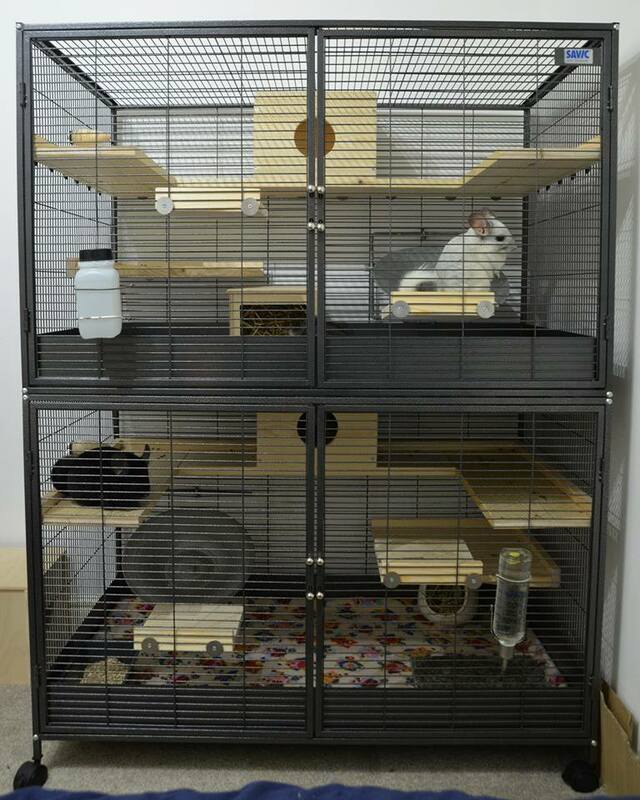 Critter nation (horizontal gray or black bars) these also come in single, double and can be made into triple or quad units. 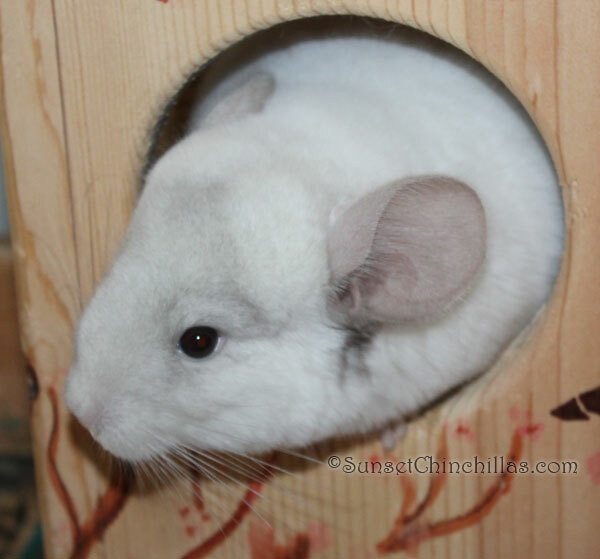 If you get a chinchilla from me that is older than 4-5 months it is likely potty trained. I use pelleted pine bedding which can be found at feed store in the equine section, or at pet stores sold as X-animal pelleted pine litter. It is usually ~$6 for 40-50 pounds if you get it at the feed store. You can also use Pine shavings or Aspen shavings. If you have allergies to these some people do use fleece but you need to keep it changed out at a minimum of every three days.